Welcome to CanAmarok Alaskan Malamutes. We are Scott & Lisa Kirkpatrick. We have a family owned CKC registered kennel near West Lorne, Ontario. About 1/2 hour west on London down Highway 3. 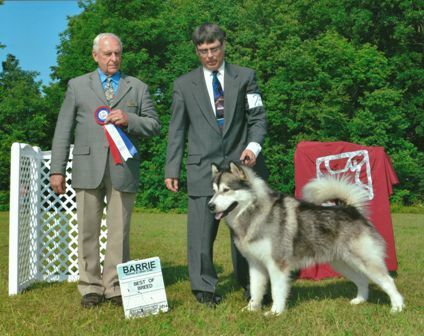 We started out with our first Alaskan Malamute, Kaiya, in 2002. We did not start breeding until 2006 when we moved to the country. By then we were hooked on this breed and have never looked back. We enjoy showing our dogs and breed for temperament, health and the breed standard. 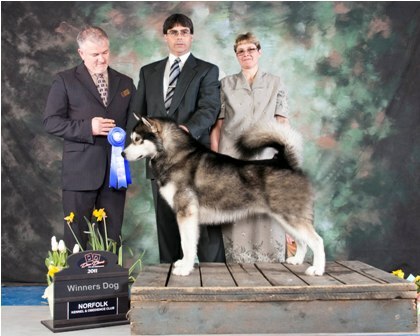 We test all of our dogs for the health issues that Alaskan Malamutes are prone to before ever breeding them. 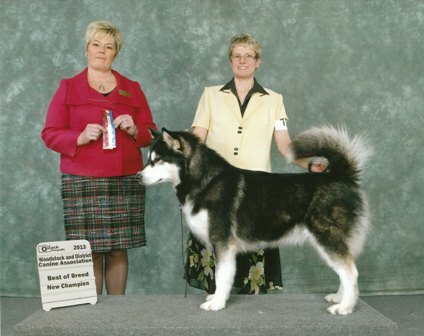 We are members in good standing with the Canadian Kennel Club, the Alaskan Malamute Club of Canada and the Alaskan Malamute Club of America. We have a great love for this breed and want to share it with the world.